Formula 1 97 PAL for Playstation 1/PSX by Psygnosis/Sony (SLES 00859) 4 dias D, 13h: 54m: 45s £3,25 Compra agora! Ghost Recon 2 - Advanced Warfighter 9 dias D, 20h: 21m: 19s £3,95 Compra agora! Thunderhawk 2: Firestorm PAL for Sony Playstation/PS1/PSX from Core Design (SLES 00145) 10 dias D, 10h: 20m: 30s £1,25 Compra agora! Playstation 1/PS1/PSX Link Cable from Performance 12 dias D, 19h: 08m: 12s £10,50 Compra agora! InterAct Playstation Lightgun for Sony Playstation/PS1/PSX 17 dias D, 12h: 50m: 54s £9,00 Compra agora! The Crash Collection - Games Guide 18 dias D, 12h: 25m: 32s £1,15 Compra agora! Battlefield 3 Collector's Edition Strategy Guide / Interviews 19 dias D, 19h: 38m: 56s £9,95 Compra agora! RAGE Strategy Guide / Walkthrough 19 dias D, 19h: 38m: 56s £4,95 Compra agora! Stuntman Strategy Guide / Walkthrough 26 dias D, 18h: 05m: 06s £3,95 Compra agora! Chili Con Carnage 26 dias D, 18h: 25m: 37s £9,95 Compra agora! Peter Jackson's King Kong 26 dias D, 18h: 33m: 46s £6,95 Compra agora! Wipeout Pure 26 dias D, 18h: 33m: 46s £8,95 Compra agora! Gangs Of London 26 dias D, 19h: 25m: 10s £3,95 Compra agora! Ridge Racer 26 dias D, 19h: 25m: 10s £5,95 Compra agora! Burnout Legends 26 dias D, 19h: 27m: 13s £4,95 Compra agora! 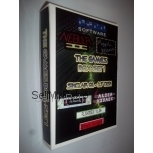 Driver for Sony Playstation 1/PS1/PSX from Infogrames (SLES 01816) 26 dias D, 21h: 51m: 27s £3,25 Compra agora! Joytech Playstation 1/PS1 Lightgun for Sony Playstation 1/PS1/PSX 29 dias D, 13h: 31m: 10s £14,50 Compra agora!